Days ago, the o cial website for Christian artist David Hodges noted that the planned multi-artist “Music Inspired by The Passion of the Christ” had been cancelled. Thankfully, that notice has been changed, but only to to say “the status of the album is still unknown.” The sentence after it (“However even if the CD is finally scrapped, the song will still be included on the Trading Yesterday CD!”) still leaves much uncertainty as to the album’s status. In more surprising related news, MTV revealed last week that Creed singer Scott Stapp has written not one but four songs for “The Passion of the Christ’s” multi-artist soundtrack. However, as of last week, Stapp was still in negotiations with his label to hand over the rights of at least one track to Gibson. This news might suggest that the album is still forthcoming, but will only appear later than we anticipated — but that is only our speculation. We’ll have more on the “Music Inspired by The Passion of the Christ” album as it happens. Zombieguide received an email today regarding yesterday’s news about the newly-formed company The Artist Group International. Unfortunately, the parts of the website that were online yesterday served only as an “illustration,” we were told, and that information we reported from it below is “not necessarily final or accurate.” That is, none of the people below are confirmed to be involved with the company, rather they are listed for illustrative purposes only. Since yesterday, the TAG site was updated to remove all of the tentative information. Former Cranberries manager Lewis Kovac has established a new artist management agency called The Artist Group International. The new agency is running out of the same building as The Cranberries’ self-owned management company, Curtain Call, Ltd. When The Cranberries announced their haitus last September, their press release mentioned that Lewis Kovac was preparing to establish a new company, although no details were available at the time. The website domain was registered last September but didn’t go online until sometime within the past few weeks. The Artist Group’s physical address is on O’Connell Street in Limerick, the same office space used by The Cranberries’ self-owned business ventures Curtain Call Limited and Timeless Music Limited. While The Cranberries as a unit no longer have a professional relationship with Kovac, recent Irish press reports indicate that the lads continue to work with him. Noel was photographed together with Kovac in Limerick’s Trinity Rooms in November. One Hot Press article claims that Noel, Mike, and Fergal may be working together with Kovac on material without Dolores. The Artist Group already has a few clients lined up, French-grown bandMétisse being one of them. Passion of The Christ Multi-Artist Soundtrack Scrapped? The official site for David Hodges, Christian artist and Evanescence co- founder, reveals some disturbing news. Hodges, like Dolores O’Riordan, had written a song specifically for the upcoming film “Passion of The Christ” only to now have that soundtrack scrapped without warning. Avril Lavinge, David Hodges and David Moody, another Evanescence co- founder, travelled to LA to meet with Mel Gibson and discuss plans to write material for the movie. Beyonce Knowles was also rumored to be contributing to the soundtrack. Weeks ago, Billboard reported that a multi-artist soundtrack of music inspired by “The Passion of the Christ” was being finalized. However, given the lack of updates on that subject and this fresh update from David Hodges’s page makes for a gloomy outlook. In related news, you may recall that Lisa Gerrad was originally lined up to write the score to “The Passion of the Christ.” In fact, she had completed the entire score. In a shocking revelation, Mel Gibson dumped Gerrad’s entire completed score in favor of John Debney, according to Pitchfork Media. With the movie less than 2 weeks away for American theaters, there is still no news regarding Dolores O’Riordan’s musical contribution. Zombieguide will have more updates on this topic as they occur. 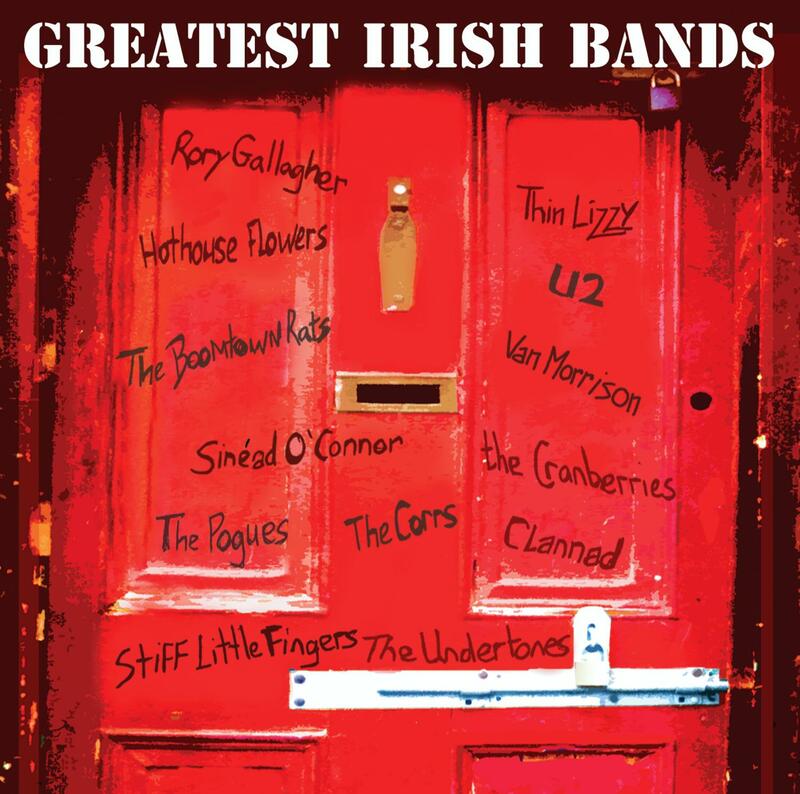 The Cranberries’ classic “Linger” is being included in a new CD compilation entitled “Greatest Irish Bands” due for release on February 24th in the US, just in time for the St. Patrick’s season. Nationwide promotion of the CD and DVD are expected; you can download the sales sheet sent to retailers here to read about upcoming promotion for the CD. High-resolution cover art is below. Thanks to Kama and several others for the tip.